Impressions of a Reader...: Latest Book Haul! I'm still not ready to post reviews. It has been a long week and I'm still going through a reading slump! This is not good for me, or for my wallet. When I don't read, I buy! (Good news for retailers, of course). So my post today is about all the books I've added to my Kindle (as if I needed more books). Plus a few of the books I received for review. Donovan seems to be a hit or miss with me as an author, but the books I like by her I really like. I hope to like I Want Candy. And, well... Carly Phillips has been releasing lots of her books lately and I haven't been reading them! I need to get back on that horse. This is an author I've had on my list for a couple of years now. I've had Rosemary and Rue in my hands at the book store and placed it back for later. Well, this is it, this is the year I'll be reading McGuire. Discount Armageddon was reviewed by KMont and the book looks good, so I'm going to give it a try to see how it goes. I didn't have The White Knight by Josh Layon and that means I'll be reading it, somehow I missed this one. 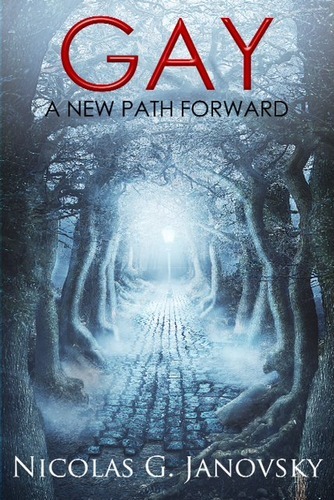 Gay: A New Path Forward is an educational book about the gay culture (gay/lesbian). And, Moontusk: Rendevous in a Ruined City by Bruce P. Grether is the beginning of a fantasy series. The second book just released and I'm curious. :) Between Dances by Erasmo Guerra is gay erotica. I also received a few books for review this last week. Of these four authors, I've read books by Elaine Levine, Alexandra Ivy, and Kate Pearce. 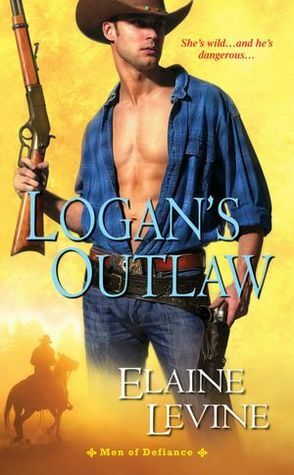 I recently enjoyed Leah and the Bounty Hunter by Elaine Levine, and have Rachel and the Hired Gun in my TBR, so I'm looking forward to reading Logan's Outlaw. Hmm... I need to start reading again! I love Seanan McGuire's Toby books! I think the drawback of the first two perhaps is that Toby does not quite come across umm... the most competent PI perhaps? But the worldbuilding is so consistent and detailed, and there are some wonderful secondary characters. I just started DISCOUNT ARMAGEDDON yesterday - interesting new world. Li, since you are reading Discount Armageddon and have read the Toby books, do you recommend that I begin with the new series first? I understand that the Toby series is pretty extensive by now! If I like it, I'll catch up, but I wonder if I should begin with the new one so I'm not prejudiced against it. LOL! Gosh - hard to say! I'm still in the first few chapters of DISCOUNT ARMAGEDDON, it's shaping up nicely but I haven't hit the main story yet, so to speak. I'll have to get back on that. When I don't read, I buy! I do that, too!!!! Or at the very least I peruse goodreads and add tons of books to my wish list. I want to read McGuire this year, too. I'm not the only one? I look for new books too! I add books to my wish list too! It becomes a desperate search for that ONE book to get me out of the slump. (I think)... but I buy! RE: McGuire. It's time, right? I'm glad she began writing a new series because it gives me the chance to start fresh, and to catch up with the old series. I really want to give her a shot. Wooohoo about buying books! Very nice haul, Hils! And it's fun to receive books right :) Did you read Alexandra Ivy before? I've seen her books for years... and I think I have one in the TBR pile, but I still haven't given her a try... Perhaps I should. I have read Ivy before! Short stories in anthologies mainly. It's the first book in a new series, so I'm going to give it a try. I'm not reading PNR, so why not? I was looking for I Want Candy two weeks ago, when there was the Buy 3, get the 4th free promotion... they had just received it and was probably still in boxes. Haven't returned to the bookstore since. Leslie, you too?! OMG! It must be the fact that new releases are scarce and we're all just... going wild looking for something! LOL! Can't wait for April! That's the great release month. I downloaded a whole bunch of .99 books during the beginning of this month too. My Kindle TBR is about to explode! 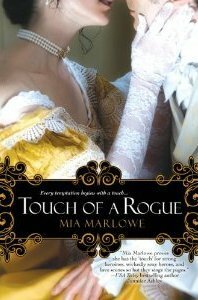 And this year I joined the TBR Challenge -- big joke on me! Wow you really had a big haul! That's awesome! I really love Dark Horse and White Knight by Lanyon. Just a great pair of stories. Moontusk sounds interesting - let us know! I have read Dark Horse, but I didn't remember that until I read the back cover summary. (It hasn't stuck with me like the Adrien English books :) Will make a note of White Knight :) Thank you! LOL, none of Lanyon's books have stayed with me like the Adrien English books! But I have really enjoyed some of the other books in JL's backlist. Wow- this is an impressive book haul. My 'hauls' usually consist of one book at a time - I'm a kind of book monogamist. I can't read more than one at once and I don't read very quickly, so I tend to not buy a lot at once! 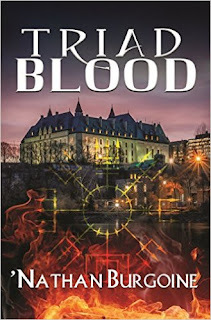 I just bought "Deadly Destination" by Cat Denison (http://sandcatproductions.com), which is a paranormal thriller, and I'm pretty excited about it. I can't wait to hear what you think of 'My Lord Vampire' - I've been thinking of picking that one up! Marie, one book at a time is good! I used to buy like that too. I used to read one book at a time, but now I'm a bit psychotic when it comes to reading. LOL! I'm just starting He Loves Lucy by Susan Donovan, which books by her have you read?